Great covers and great titles here. I love all three. And I've only read one of these authors before, so I'm interested to see what the other two are like. 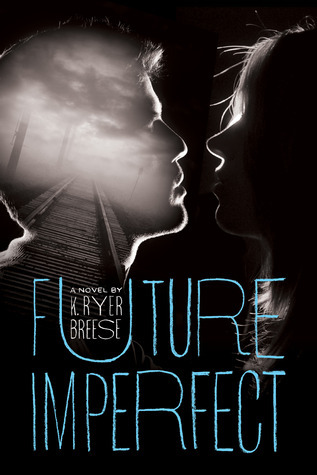 All contemporary young adult fiction here, something I've been rather in the mood for lately. You can look forward to these this coming spring. Already out in Marchetta's native Australia, The Piper's Son will make its U.S. debut with this awesome cover--very different from the Aussie one. I like both. This is technically a sequel to Saving Francesca , a book I've been ordered to read on several occasions and which I plan to do before release day. And because of that, I don't want to know too much about the sequel. Looks great, though! Due out March 8th. Details are sketchy, but this debut novel explores the theme of addiction through the experiences of one 17-year-old Ade Patience, who--due to being knocked unconscious--can now see the future. With his life falling apart, he sees Vauxhall Rodolfo coming and, through her, spies hope for the future. That is, if both of them can kick their addictions. Due out April 26th. I'm always intrigued by characters who overtly believe or disbelieve in the notion of luck. Nick Brandt believes his life up to this point has been fairly lucky. Then his parents reveal a secret they've been keeping from him and things take a decidedly unlucky turn as Nick tries to figure out how to handle his loss of trust in his parents. Also, there's a girl. Due out May 10th. 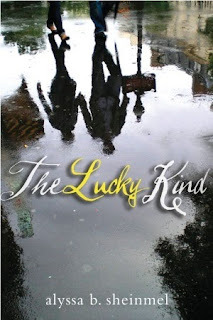 I really like the cover on "The Lucky Kind". I just finished my very first Melina Marchetta novel, Jellicoe Road and I really enjoyed it. In fact I enjoyed it so much that I've ordered all of her novels except for "The Piper's Son". Ladybug of Escape In A Book. They are all lovely, but my favorite, just from the cover, is The Piper's Son. Wait, what? Another Melina Marchetta book? I'm getting so behind! 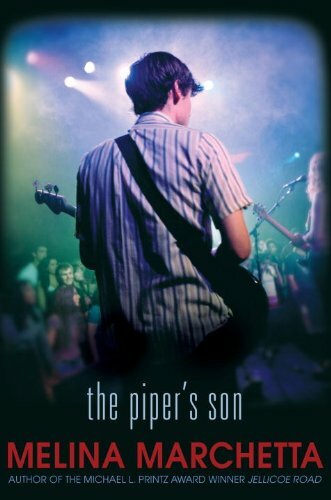 I like both the US and the Australian covers of The Piper's Son. If I had a way to get the Australian one, I would probably have ordered it after I finished Saving Francesca. I just downloaded Saving Francesca so I could be prepared for Piper's Son. I liked Jellicoe Road so I'm hopeful I'll enjoy her other work as well. Also, I just finished Scheinmel's The Beautiful Between this week and thought it was fantastic. I'm definitely adding this one to my must have list. Suey, I know! I actually like the US version better than the Oz one, I think. Which is usually not the case. Chachic, I've GOT to read SAVING FRANCESCA. I'm so behind on my Marchetta. Michelle, ooh, that is good to hear. I wondered about it. Maybe I'll give it a go in the meantime.